Help keep the whole community warm! Fill our bright baskets November 1-January 2 (see locations below). 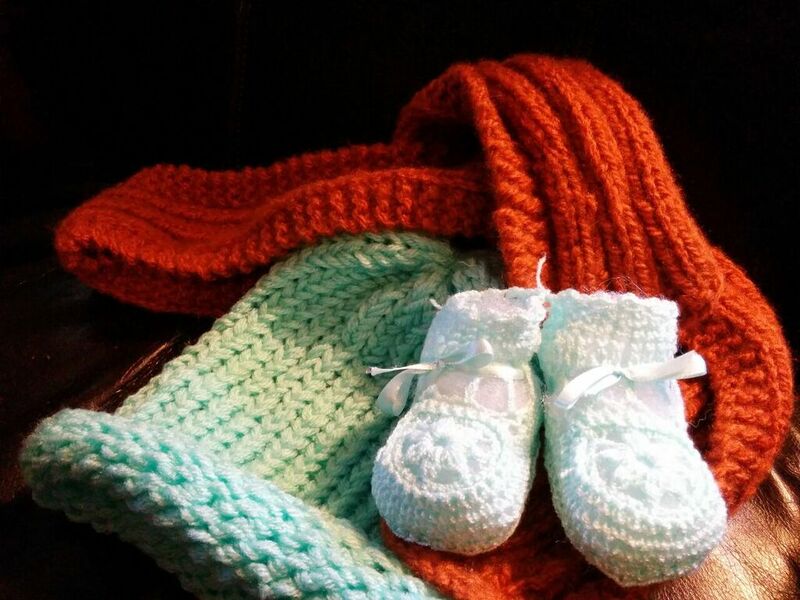 Winter Warming gathers new, handmade items – from baby booties, shawls, sweaters, and lap blankets, to socks, mitts, hats, and scarves – to distribute to kids and families, youths, adults, singles and seniors, anyone who needs a hand staying warm as the weather turns cold. Contact Living Earth to get involved in this Community Compassion project! Happy Valley : SE Sunnyside Road | 157th Ave.
CAT Thrift Store: 4838 SW Scholl’s Ferry Road, just west of Beaverton Hillsdale Hwy and Oleson Road. Winter Warming connects creative compassion with folks in need. Countless anonymous craftsfolk become Winter Warming bodhisattvas each fall, to help others through the winter. Living Earth helps make those connections. 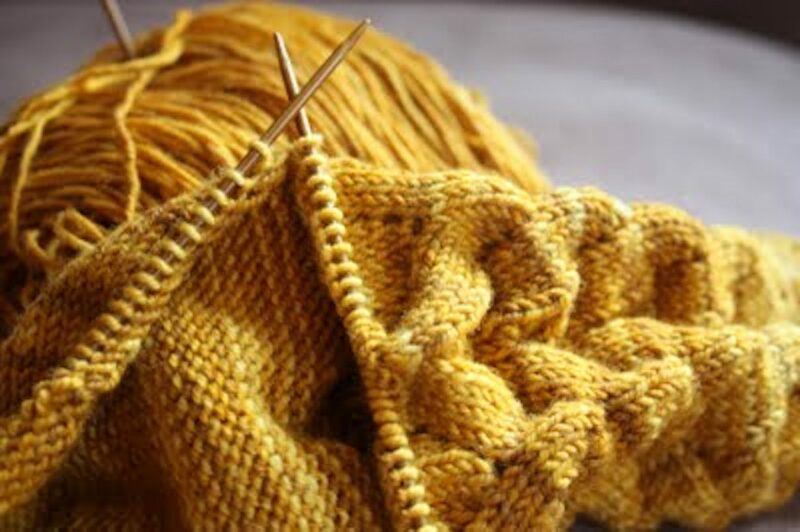 How it works: Handcrafters knit, crochet, and sew hats and scarves, blankets, booties, shawls, and more for people in need, from infants through the elderly. Their fingers are busy on the bus, while they’re watching TV or listening to podcasts, working at their own pace and time. Then, between November 1 and early January, they drop their items in our donation baskets in select New Seasons Markets, Beneficial State Bank locations, and other Portland area businesses. Living Earth volunteers pick up donations every week to be distributed throughout the city. Some items go to individuals living outdoors along with our Brown Bag deliveries. Others go to housed individuals and families who still need help staying warm in winter. In our first year, 2009, our basket gathered 245 handmade items at a single New Seasons location (7 Corners). Ten years later, our baskets are in a dozen locations and collect more than 1,000 warm items each year, donated by people we’ll never know. Our volunteers tally, sort, and organize them, and then give them away. It’s that simple, and that beautiful. Don’t sew or knit but still want to help? Volunteer for donation pick-ups, tallying, data entry, and the give-away deliveries. It involves just one to three hours per week, mid October thru mid January. And we’d love to have your help! Contact us if you’d like to help keep the Winter Warming Project strong.